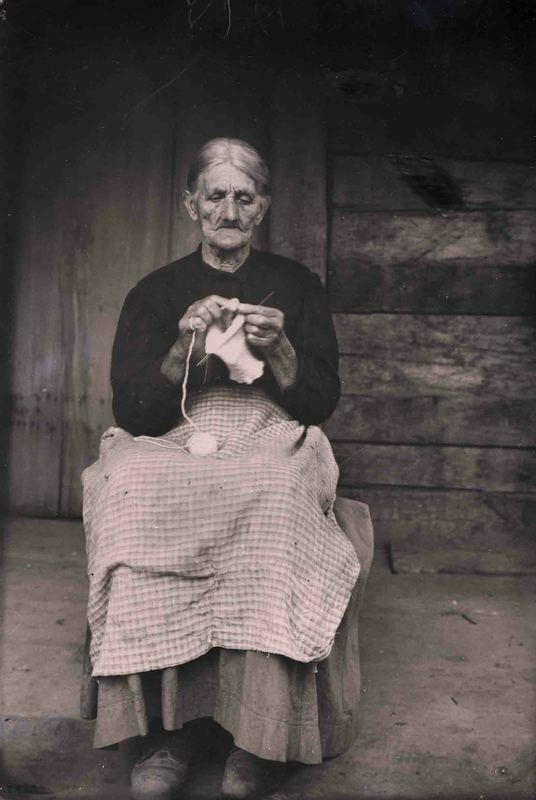 Liza O’Kelly knitting a sock. Mt. Pisgah, North Carolina, ca. 1915.